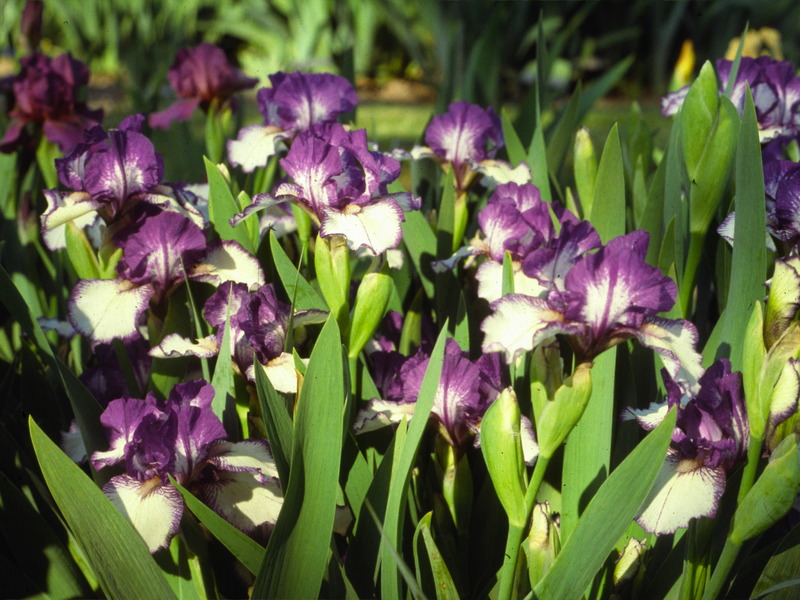 Click here to view a sketch of Bearded irises arranged in order of bloom. 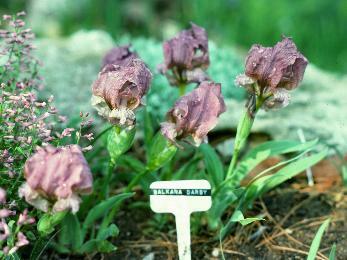 Bearded Irises are identified by thick, bushy "beards" on each of the falls (lower petals) of the blossoms. Originally, most of these were native to central and southern Europe. 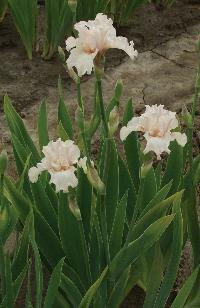 The American Iris Society has divided the bearded irises into eight groups for garden judging awards. Even if you grow nothing but bearded irises, you can enjoy a remarkable range of color and a bloom season extending for months. 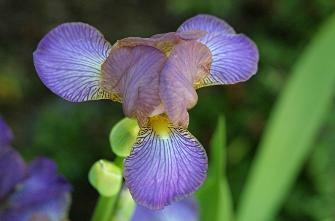 Some bearded irises are "rebloomers", blooming again in the summer, fall or winter. Additional water and fertilizer applied during the summer months encourages them to bloom again. There are now reliable attractive rebloomers available which will perform in all but the coldest climates. 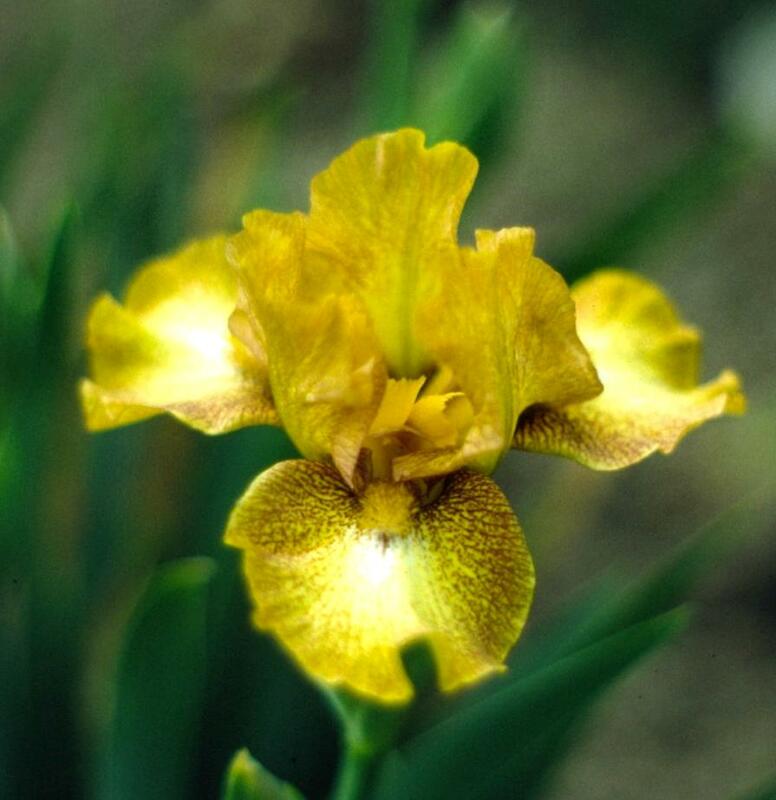 The word "median" refers to all the bearded irises except the miniature dwarfs, the tall beardeds and arils/arilbreds; that is to say the SDBs, IBs, BBs and the MTBs. 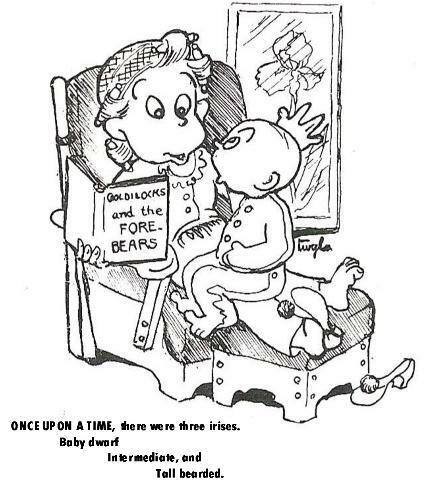 Strictly speaking, the word "dwarf" refers only to the MDBs. 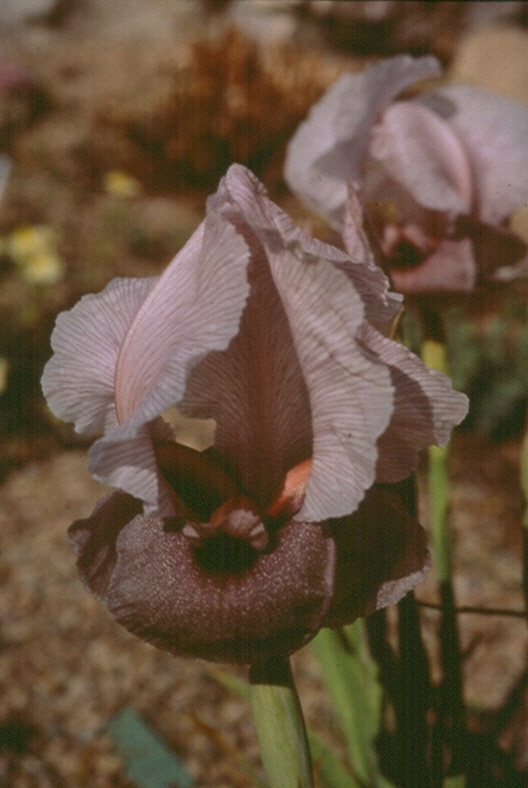 Iris in the Tall Bearded or TB class must be over 27.5" in height with two or more branches and seven or more blossoms. 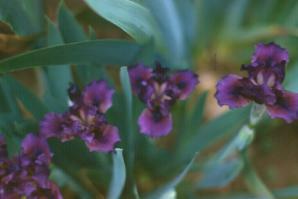 Typically they bloom later than most of the smaller bearded irises. Most of the TBs produce stalks that significantly exceed the minimum height standard; many varieties producing stalks of at least 38" to 40". TB blooms should be considerably larger than those of the Border Bearded and Intermediate Bearded irises. 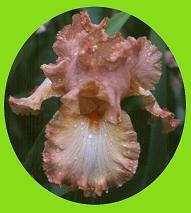 The smallest of the bearded iris is the Miniature Dwarf Bearded or MDB class. 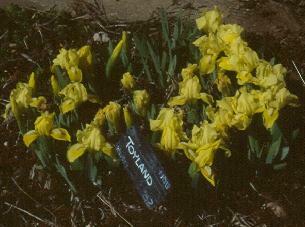 To be in this class an iris must consistently produce plants that are no taller than 8 inches. 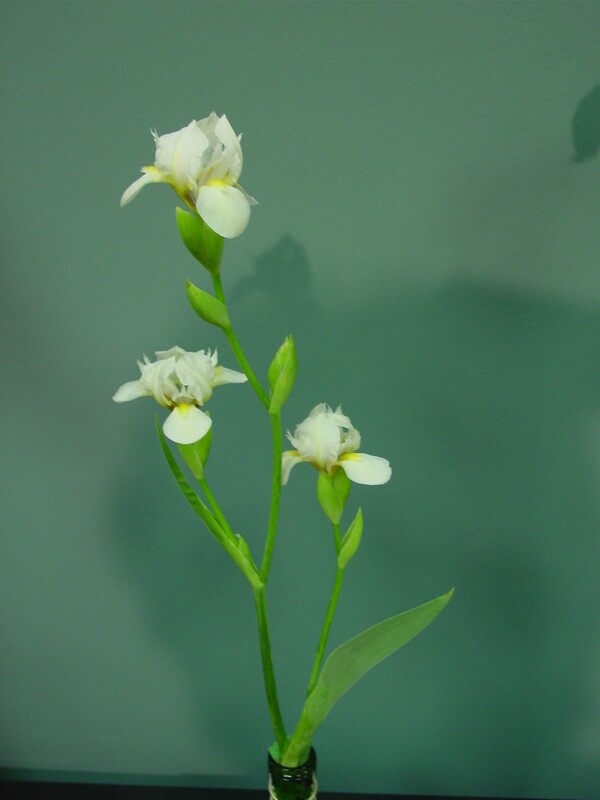 They usually have small and dainty flowers that measure from 4.0 to 7.5 cm (1.6" - 3") wide. 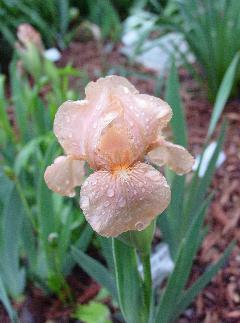 MDBs typically are the first bearded irises to bloom in the spring and also have little or no branching. I. pumila is the most important species in the background of modern MDB irises. 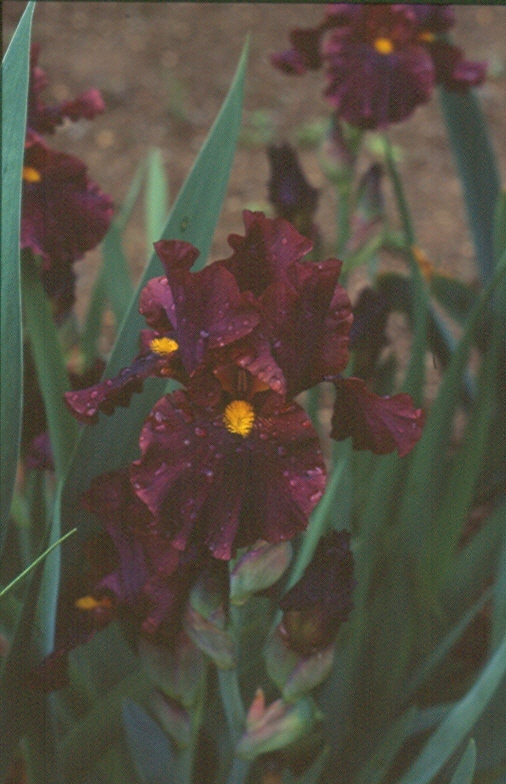 The Standard Dwarf Bearded or SDB class, consists of iris 8 to 16 inches in height, Stems may be branched or unbranched, usually with two or more terminal buds. Blooms should be from 5 to 10 cm (up to, but not including, 4 inches) wide. To determine flower width, measure horizontally from the center of one fall to the center of an adjacent fall. Leaves should be essentially erect and no taller than the height of the bloomstalk. 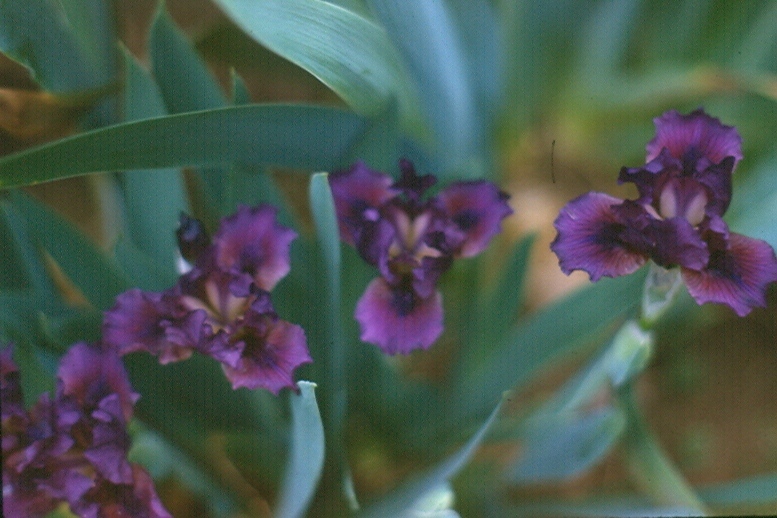 The SDB bloom season begins after the peak of the Miniature Dwarf Bearded irises and before the peak of the Intermediate irises. 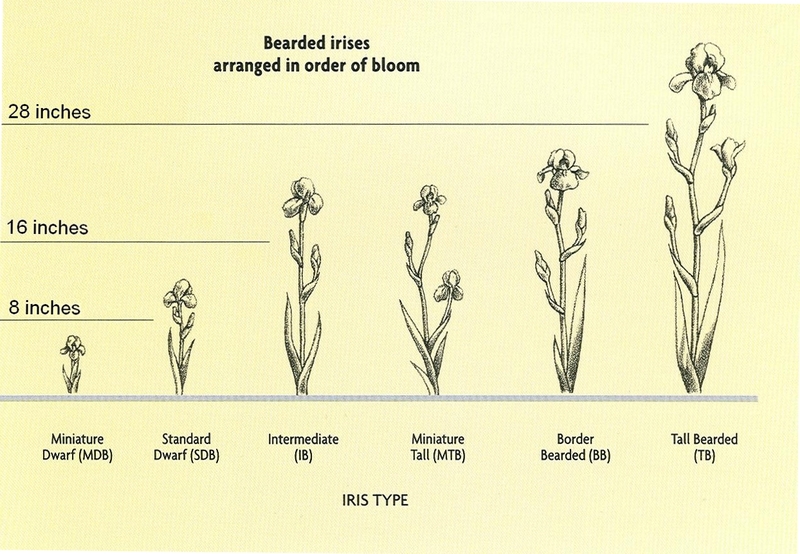 The Intermediate Bearded or IB class of iris typically bloom intermediate between the SDB irises and the TB irises. They are plants with bloomstalks 16" to 27.5" in height, leaves substantially erect with stalks branched and preferably extending above the foliage far enough to display the blossoms without interference. Blooms should be 9 to 13 cm or 3.5 to 5 inches in width. This measurement is taken by measuring the distance between the tip of one fall to the tip of an adjacent fall. 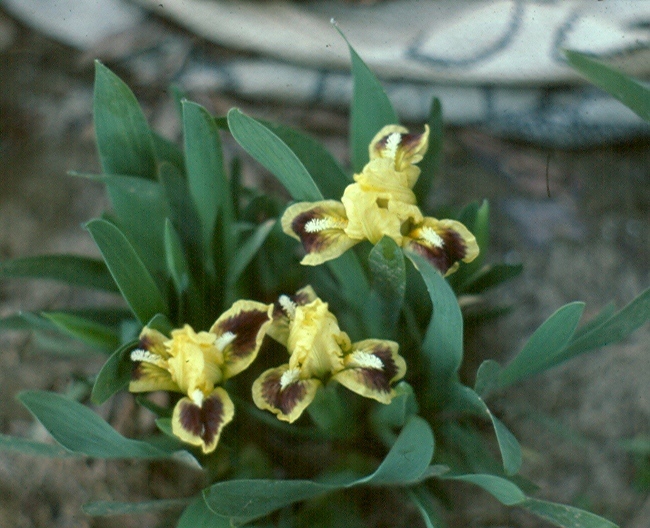 An iris in any class may produce bloomstalks inconsistent with its official classification. 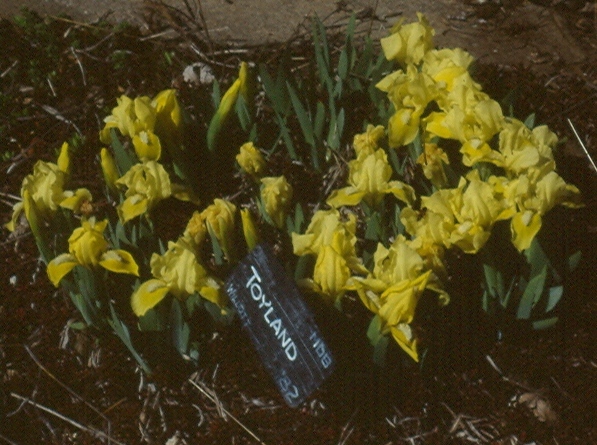 Weather and climate, and soil fertility, may cause an iris to produce stalks that are taller or shorter than the height recorded at the time of registration. 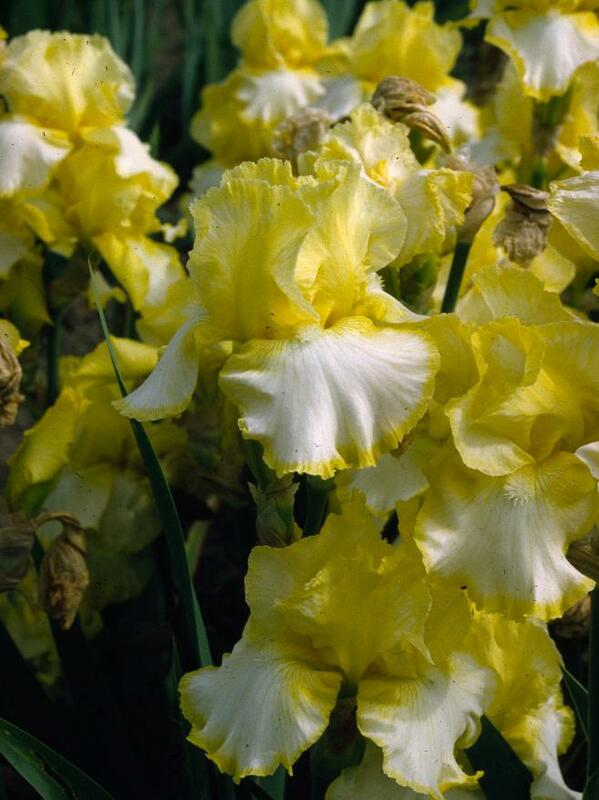 Miniature Tall Bearded iris or MTB comprise a separate class of bearded iris, also known as table irises , or bouquet irises that produce bloomstalks of 16" to 27.5" in height. However, MTBs are not simply very small flowered Tall Bearded irises. In all aspects of the plant, MTBs are far daintier. Blooms on MTBs should not be more than 15 cm or 6 inches in combined height and width. They are borne on slender, wiry, flexuous stalks 1/8" to 3/16" wide directly under the terminal flowers and increasing gradually to about 5/8" at the ground line. 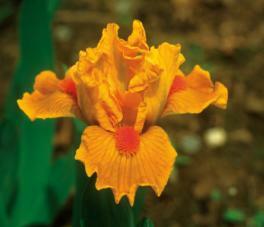 Although most MTBs bloom with the Tall Bearded irises, size and proportion, not the season of bloom, define the class. MTB blooms are very dainty, especially when compared to those of Border Bearded or Tall Bearded iris blooms. Their slender stalks and dainty blooms make them ideal subjects for use in arrangements where pleasing fragrance is especially important. Iris in the Border Bearded or BB class must consistently produce bloomstalks of 16" to 27.5". This is the same as the stalk height for the intermediate and miniature tall bearded irises. So what distinguishes this class from the other two? 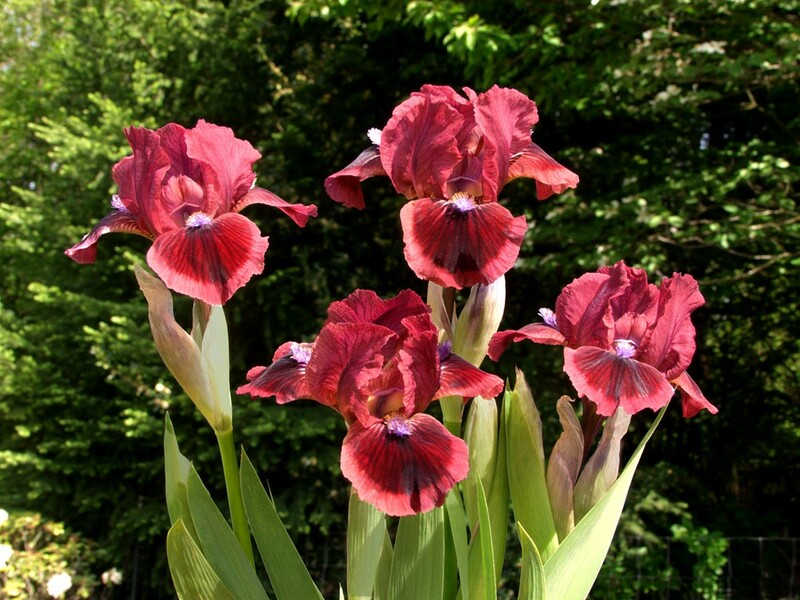 First, Border Bearded irises should bloom along with the TBs. Second, blooms should be larger than those of the IBs or MTBs, but the width of the flowers should not exceed 5". The combined width and height of the flower, measured vertically from the highest point of the standards to the lowest point of the falls, should not exceed 22 cm or 8.5". In other words, flowers in excess of these measurements would likely resemble tall bearded blooms and would look out of place on a plant producing bloomstalks less than 27.5" in height. 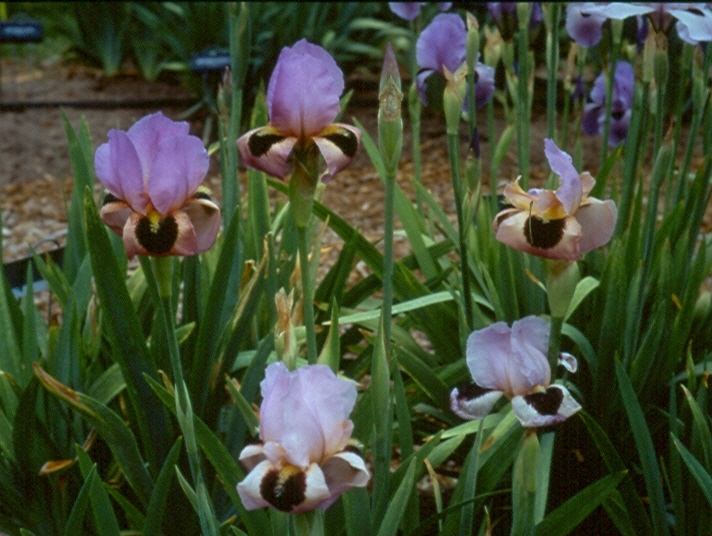 Border bearded irises should closely resemble the plant and flower habits of tall bearded irises, but should be reduced in size for proper balance. The leaves should be erect, in scale with and not obscuring the bloom. Arils and Arilbreds : Irises in these classifications are different and variable from the other bearded irises. 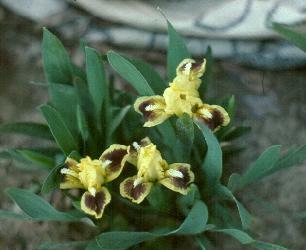 The name "aril" refers to oncocyclus and regelia species from the Near East and hybrids involving these two species. 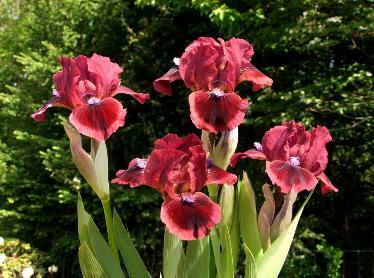 The term "arilbred" refers to hybrids between the arils and other bearded (eupogon) irises. Phenotypes, heights and widths, flower shapes and plant habits are so varied that you are referred to the complete definitions found in the Aril Society International Checklists. Aril beards are rather sparse, being long and straggly on the regelias, and nothing more than a wide "fuzzy" patch on the oncocyclus. The arils show dark signal spots below the beards with much veining and speckling, in an unbelievable range of colors. Unfortunately, the arils are difficult to grow in all but the warmest and driest regions of the United States. The arilbreds (AB) are usually easy to grow and still display the unique aril features. 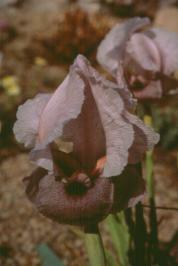 Most arilbreds are tall and have large blooms. They usually bloom earlier than the TBs, with the SDBs and the IBs. There are also small arilbreds, produced from crossing arils or arilbreds with dwarfs or medians. 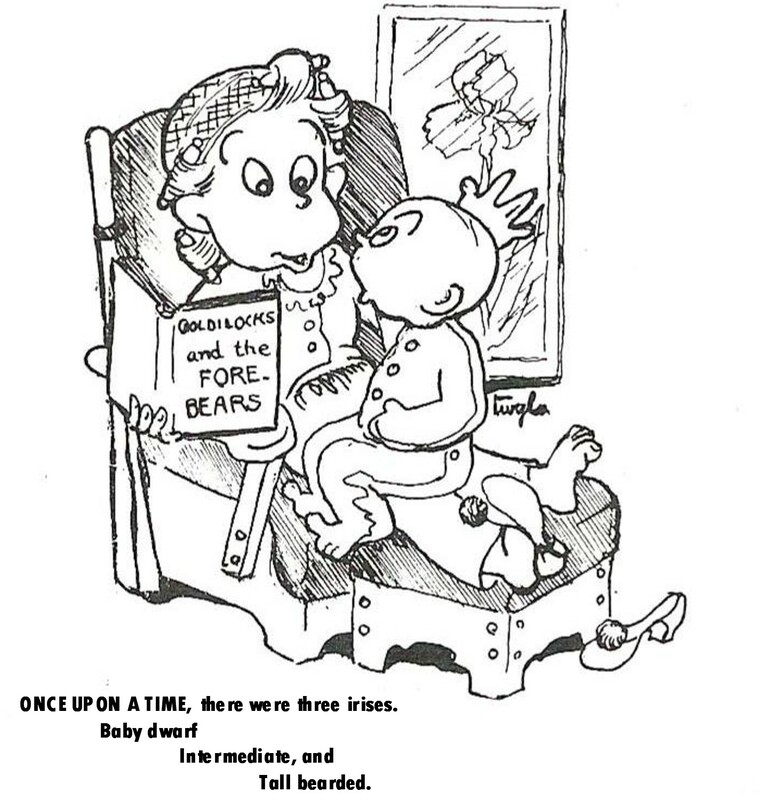 They are variously called "arilbred-medians", "aril-medians" or "aril-meds". 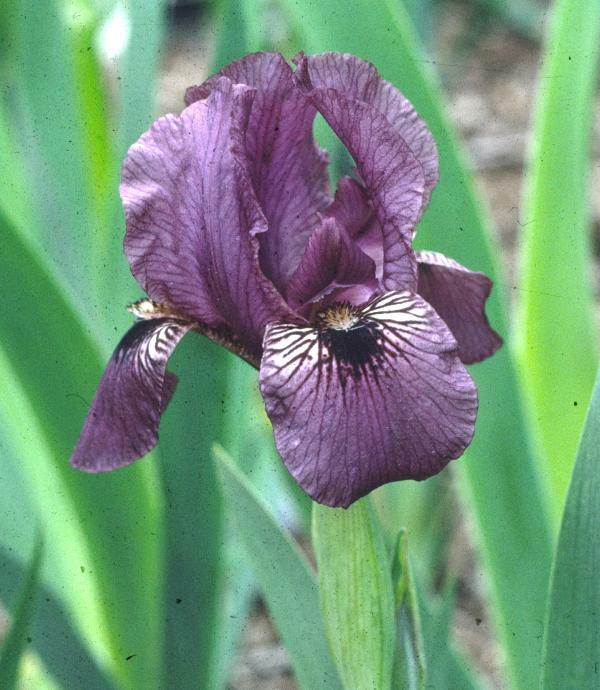 Who officially assigns bearded irises to a certain class? 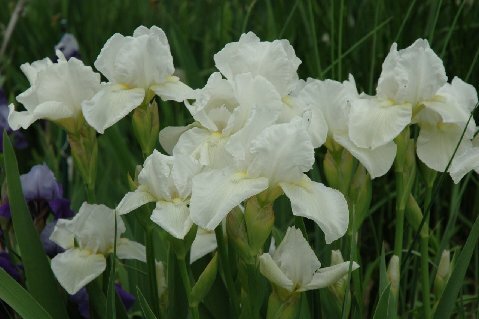 It is the responsibility of the hybridizer of an iris to be registered, to properly assign it to the right classification. Once the AIS Registrar receives the application for registration, the plant is officially registered according to the information provided by the hybridizer. Can the classification of a registered iris be changed if the stalks of an iris grow to greater heights in other gardens where they are grown following their introduction? 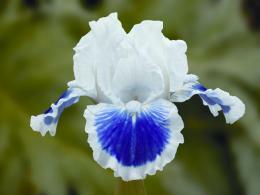 Changes in classification can be made by the hybridizer of an iris if he makes a formal request to the registrar. This is rare but possible. This indicates that most iris hybridizers are doing a good job when registering irises. 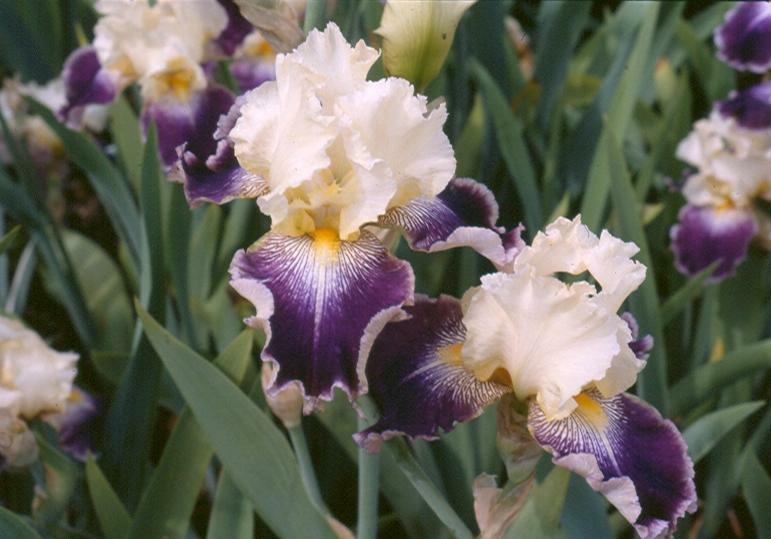 One of the harder irises to classify is the Border Bearded iris because in some gardens it may grow taller than 27.5", the upper limit for stalk height. 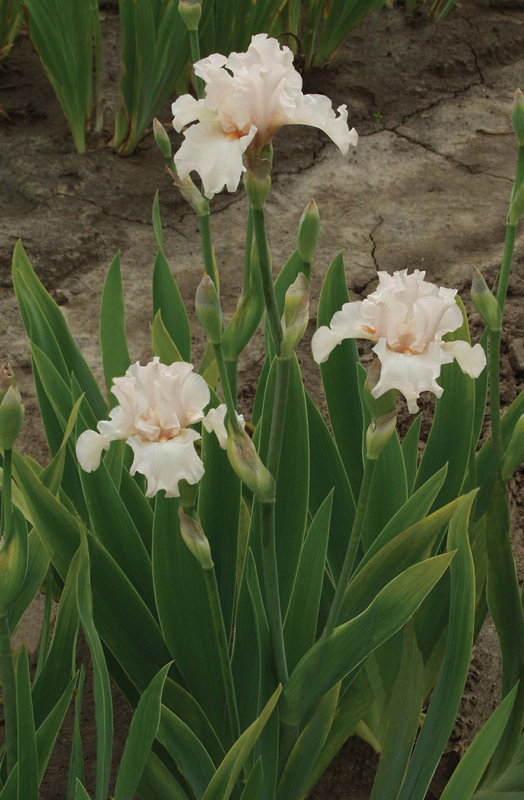 How an iris performs in the hybridizer's seedling plot will usually dictate how the plant will be registered. 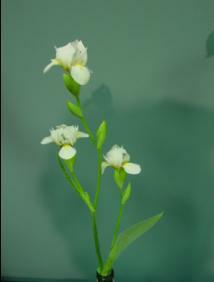 If a hybridizer wishes to test his seedlings in various climates and gather data for registration proposes, he may do so; however, most hybridizers do not send their seedlings to various test plots prior to introduction. They rely pretty much on how the plant performs in the home garden.